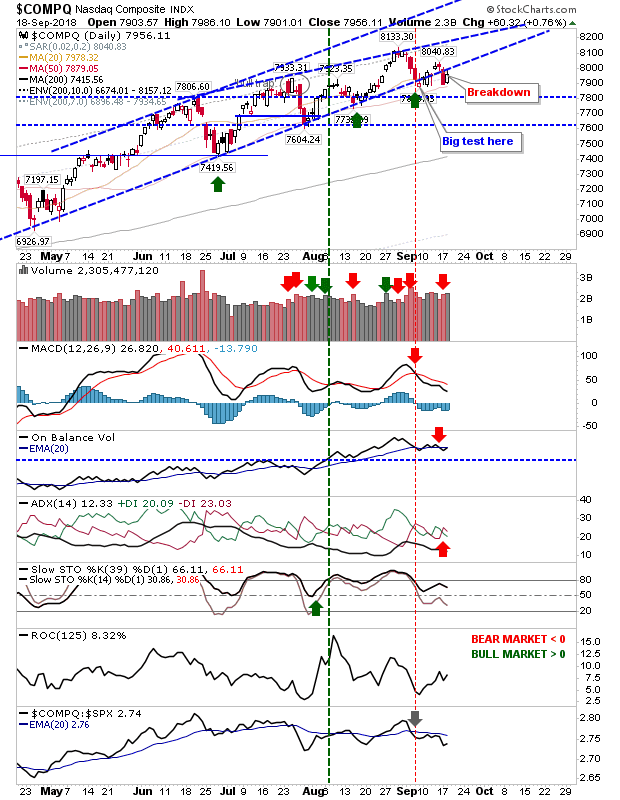 The Dow was the lead index on the day as it marked a new closing high and kept the rally on course to test its accelerated upper channel. 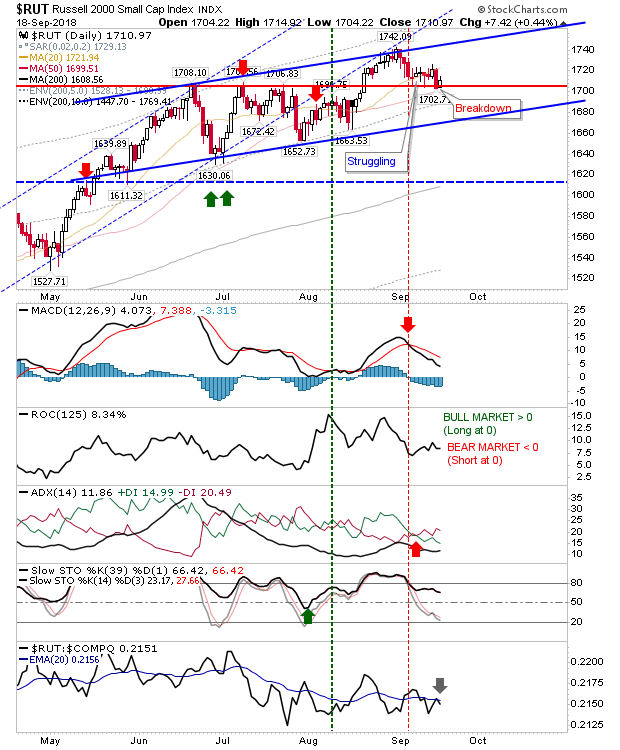 Technicals are bullish with the exception of the MACD which is on the verge of a new 'buy' trigger. The Nasdaq rallied following yesterday's breakdown but it didn't recover all of the losses generated by the breakdown. 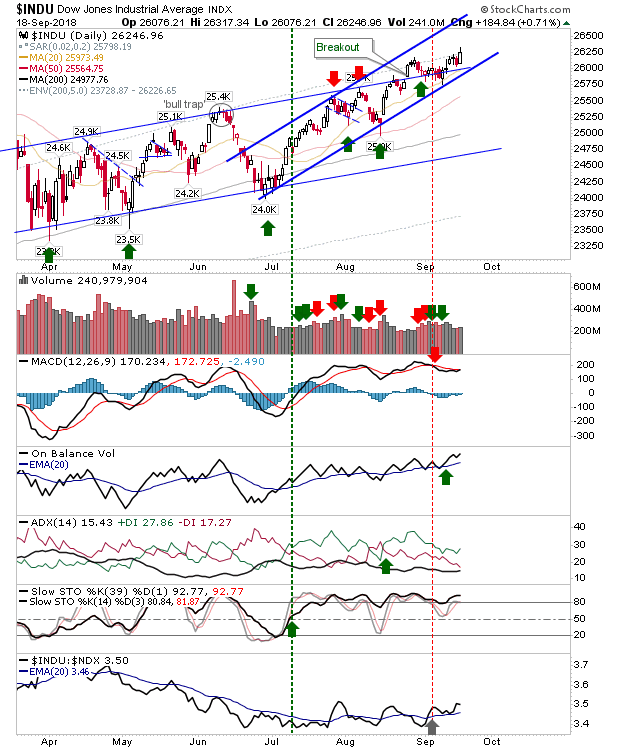 The index remains outside of the channel and technicals are still bearish with the index underperforming against Large Caps. Tomorrow is a chance to broaden the consolidation assuming the index rallies inside the bearish wedge. The Russell 2000 did a little better in recovering 1,705 support but it was the bare minimum to regain such support. It was noted relative performance ticked lower despite the gain. 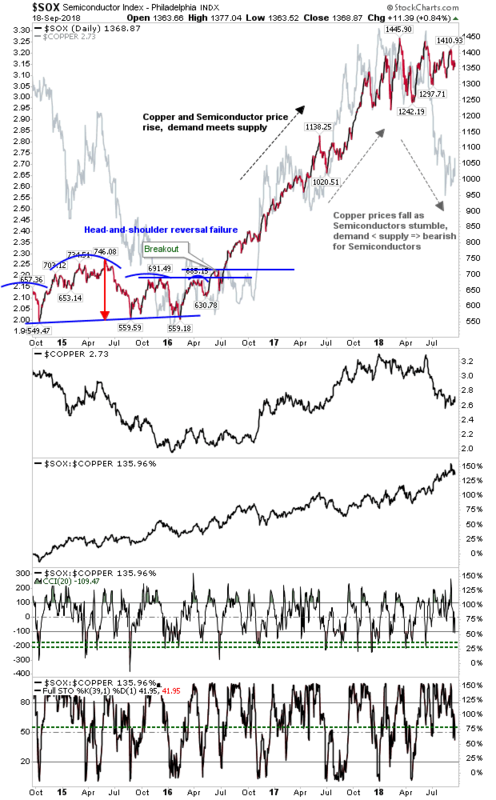 Chart of the day belongs to the Semiconductor Index and Copper chart. Copper prices have been in decline all summer. The result has been a significant divergence to Semiconductor prices. Falling copper prices translates to weakening demand and this will have had adverse effect on semiconductors and tech stocks. Tomorrow, watch how the breakdowns evolve. Longer term, prepare for a period of weakness in Seiconductors and Tech indices.